Mrs. Mary Catherine "Kay" (Thomas) Yelton, of Barry, Illinois, passed away peacefully on Tuesday, August 28, 2018, at the Barry Community Care Center in Barry. She was born September 25, 1924, in Pittsfield, Illinois, the fourth of six daughters, to Edmund Frederick and Katherine Wood Thomas. She married Russell W. Yelton on August 24, 1947, at the Madison Avenue Christian Church in Covington, Kentucky. He preceded her in death on November 19, 1996. IL; Mary Lou (Robert) Dunker of Savoy, IL; and Beth (John) Leamon of Tuscola, IL; and 1 son, Stan (Sherry) Yelton of Quincy, IL; 11 grandchildren, 23 great grandchildren and many nieces and nephews. In addition to her husband Russell and her parents Edmund and Katherine Thomas, Kay was also preceded in death by her sisters Elizabeth Wall, Martha Gresham, Eleanor Dunham, Mariam Lowry and Mildred Lightle, two granddaughters and a great grandson. 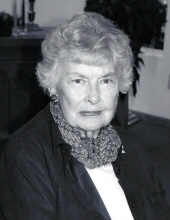 Kay graduated from Pittsfield High School in 1942 and joined the U.S. Cadet Nurse Program graduating 1945 from St. Mary's Hospital School of Nursing in Quincy. Her training included six months at Hines Veteran Hospital in Maywood, IL. She was employed at Illini Hospital in Pittsfield for one year, then as office nurse for Dr. P. T. Dolan in Barry, private duty nursing after marriage and occasionally during her children's school years. In 1963 she was employed part time at the Barry Nursing Home until 1975 when she became Director of Nursing at the Community Care Center. She also served as Administrator for a short time. She volunteered for 11 years at the Barry Community Care Center doing sewing and mending. Kay was a member of the First Baptist Church in Barry where she served in many capacities including Trustee of the church. She was a member of C.U.B. Sunday School Class since 1948 and was also a member of Joy Fellowship at Central Baptist Church in Quincy. She enjoyed playing bridge and attending classes at the YMCA. Visitation will be from 5:00 - 7:00 p.m. Friday, August 31, 2018, at the Kirgan Funeral Home in Barry. Funeral services will be at 11:00 a.m. Saturday, September 1, 2018, at the Kirgan Funeral Home in Barry. Memorials are suggested to the First Baptist Church of Barry or the Barry Swimming Pool. To send flowers or a remembrance gift to the family of Mary Catherine "Kay" Yelton, please visit our Tribute Store. "Email Address" would like to share the life celebration of Mary Catherine "Kay" Yelton. Click on the "link" to go to share a favorite memory or leave a condolence message for the family.